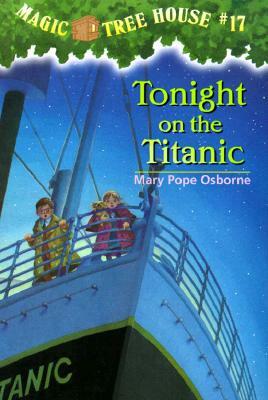 The magic tree house transports Jack and Annie to the deck of the Titanic to find the mysterious gift that will free a small dog from a magic spell. This one was a neat book to red with Addyson to teach her a bit of history AND I also started a book (The Dressmaker) about the Titanic’s sinking so it was neat to be able to tell her about the story I was reading too. She was in awe that a big boat like that could just sink (as I think many of us still are).